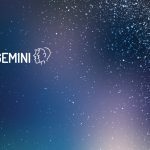 Here, you can find out more about the weekly Horoscope for Gemini, from April 22nd to April 28th. Every week, WeMystic will bring you the forecast for Love and Relationships, Health and Money & Career. Singles: it is not about you being stubborn, but when someone challenges your views or beliefs, you will soon become irritated. Fortunately for them, you consider hot topics and intense preliminary discussions. Your attempt to expose an ex about something they did to you in the past may not happen as planned over the weekend. But it is obvious that you have learned from your mistakes. Engaged: what is the reason for this indifference, Gemini? Think about your current motivation and be honest if your partner asks you to explain. You may try to clarify things this weekend, but some problems are not the same when you expose them. Certain statements sound far better in your head than when they come out of your mouth. It’s been some time since you felt you got what you’re worth, but that may change soon enough. You’re the star at work right now, showing off your talents and skills at your best. Others may see in you what they want to see, almost as if you were a full-size projection screen. You have all the power to ask for more money or make a great deal for your eventual promotion. This is a powerful moment to do things and move forward in your position. Many situations that have faced delay or disappointment will finally have progress. This is a lucky time to apply for a job in healthcare services or specialized trade. For some, it is possible that old grudges or resentments resurface. For you, either it works or not. When the usual routine of eating lots of salads and doing regular exercise seem boring and predictable, take yourself to a really heavy dinner, such as a fondue. Pay attention to how you feel the next morning and ask yourself which diet you prefer. You may not even need to do this because you can anticipate what the answer might be. We should always take our decadent impulses seriously, or miss the opportunity to use our best judgment. When it comes to health issues, you tend to take an all-or-nothing approach. There are no gray areas. Before you commit, you want a detailed explanation on why and how successful they are. Once you commit, you give 101 percent.